It was founded in 3/2010, we also advise to design, install equipment in factories, industrial parks such as automatic lift, dock shelter, industrial fan, industrial door, etc with the most optimal expense for customers. The quality of Sai Gon Nam Phat’s products is always given priority. The products are imported from reputable suppliers around the world. The company’s products have clear origins. We’re by far the largest producers of warehouse solutions for industries. Sai Gon Nam Phat brand is our strong commitment to customers. We want to bring the most morden products to customers, Quality improvement and assurance is a supplier of warehouse solutions for industries. The company have had a lot of experience in warehouse. always listening, always comprehend the needs of the customer, give the best solution, the cost savings for customers. The process includes: survey – consulting – Plans. At the request of the customer. Sai Gon Nam Phat continues to be active. 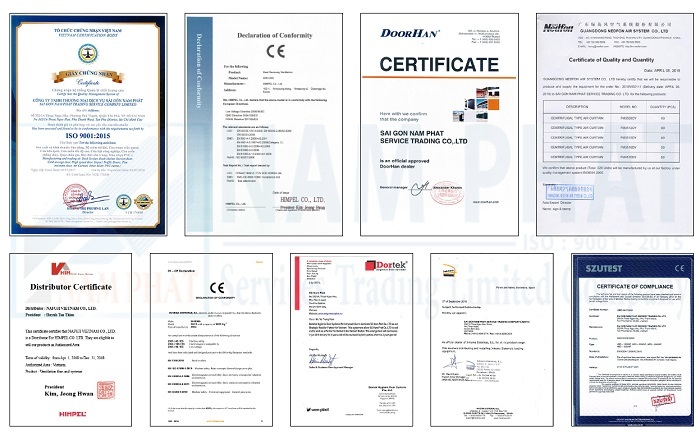 We develop business import export logistics equipment, equipment manufacturers warehouse Viet brand, EU the quality. At the same time, We attach great importance to the professional business restructuring, brought the company international reach. We are proud to have a staff of professional engineering, dynamic matching of work related to the modern equipment, standard management ISO 9001:2015. We create quality products, good taste, at the request of the customer. We set up a subsidiary in the Ha Noi city in 2015. Exclusive distribution product insect killer Naviflight made in Maylaysia.